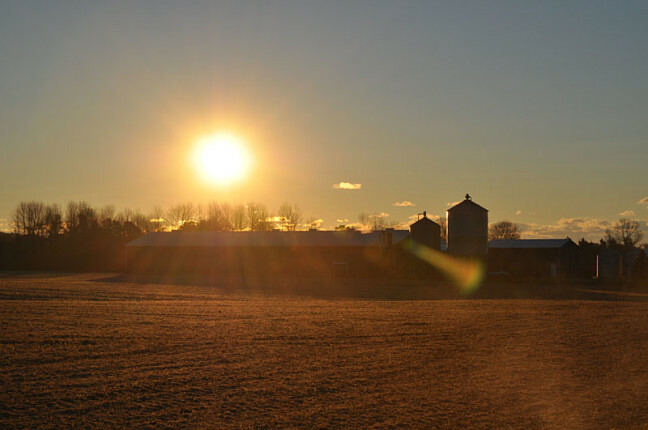 Ag Canada Releases Sunny Outlook For Farming | Chatham-Kent Agriculture Development | We Grow For the World! Farm incomes are forecast to reach record levels for Canadian farmers in 2015, and are expected to remain above average this year. The projections are part of Agriculture and Agri-Food Canada’s 2016 Canadian Agricultural Outlook that was released on Feb. 19. The report provides a forecast of farm income in the agricultural sector for the previous and current calendar years (2015 and 2016), and looks ahead ten years to longer term trends that could impact the agriculture sector. A projected increase in both crop and livestock receipts contributes to these strong income levels for the sector in both 2015 and 2016. In addition, an increase in global trade and greater demand for agricultural commodities by developing countries present opportunities to further grow the Canadian agriculture sector. Net cash income in 2015 is estimated to increase by 6% over 2014, reaching a record $15.0 billion. A decline of 9% to $13.6 billion is expected in 2016, still 14% higher than the 2010-2014 average. Average farm-level net operating income in 2015 is forecast to be $77,287, which is 8% higher than 2014. Average net worth per farm is expected to reach $2.7 million in 2016. The low Canadian dollar has improved the competitiveness of Canadian agriculture and food products in export markets, contributing to higher farm cash receipts. Livestock receipts in Canada are expected to increase by 2% to $26.2 billion in 2015. Crop receipts are expected to have increased 2% to reach $30.7 billion in 2015, and remain virtually unchanged at $30.6 billion in 2016. Lower crude oil prices are significantly reducing farmers’ diesel and gasoline expenses. Strong conditions over the past several years have contributed to a decline in program payments in 2015, down to $2.1 billion.